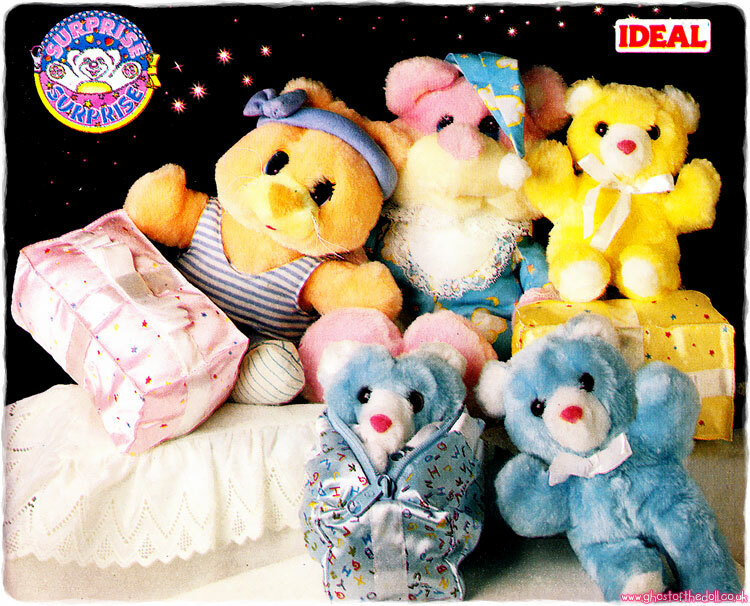 Images on this page thanks to Brook and various eBay sellers! 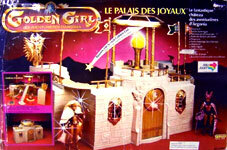 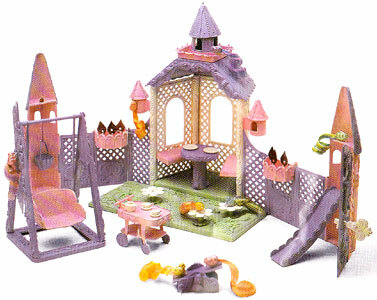 There were three playsets in the Light Up Collection. 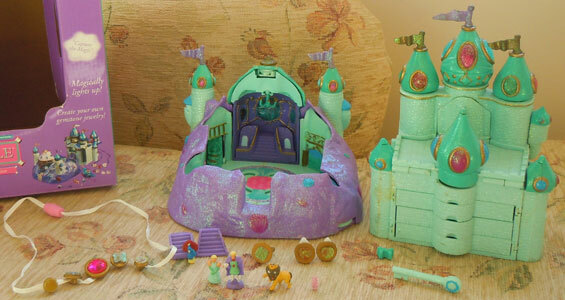 "Magically lights up! 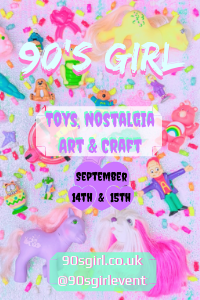 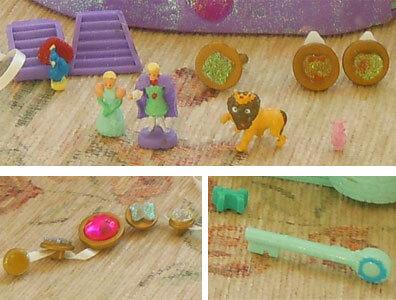 Create your own gemstone jewellery!" 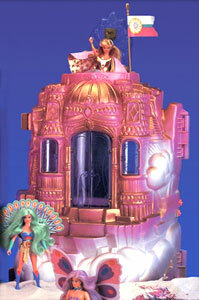 "Neptune Castle turns into a real aquarium and playset with light-up dance floor. 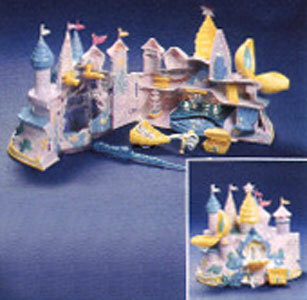 Includes two mermaids, clam with pearl-look ring, clown fish, starfish, seahorse coach and octopus. 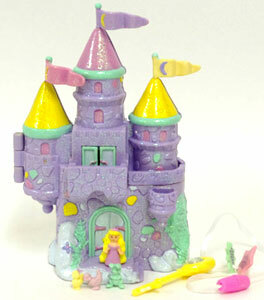 Special keys to open. 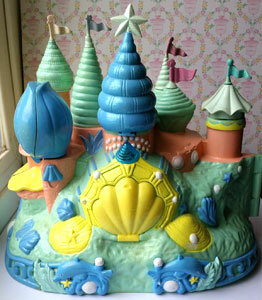 11" high." 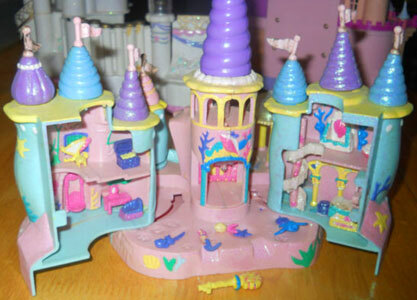 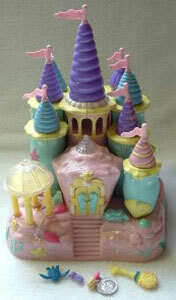 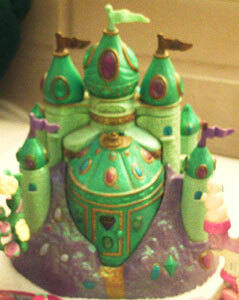 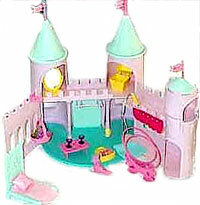 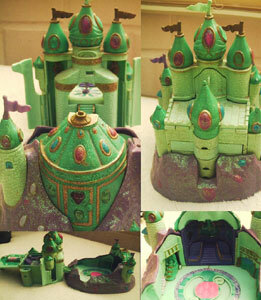 This starcastle's mould was used again for the "Mermaid Treasures Starcastle with Stardancer Doll" playset, in a different colour (blue base). 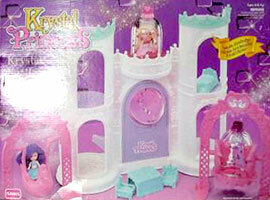 I've found two colour variations so far. 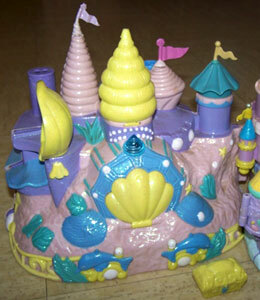 The Seashell playset had an underwater seaside theme.